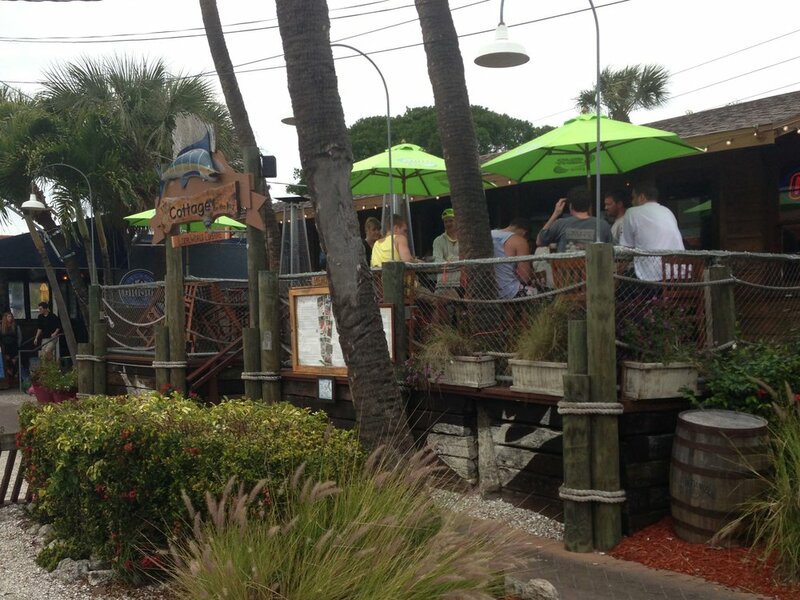 The Cottage is a Florida beach bar located in Siesta Key. Discover this great Florida beach bar. Hours: Sunday-Thursday 11:00 a.m. -11:00 p.m. Friday and Saturday 11:00 a.m. - Late Night. Music: Live music every day starting at 7:00 p.m. 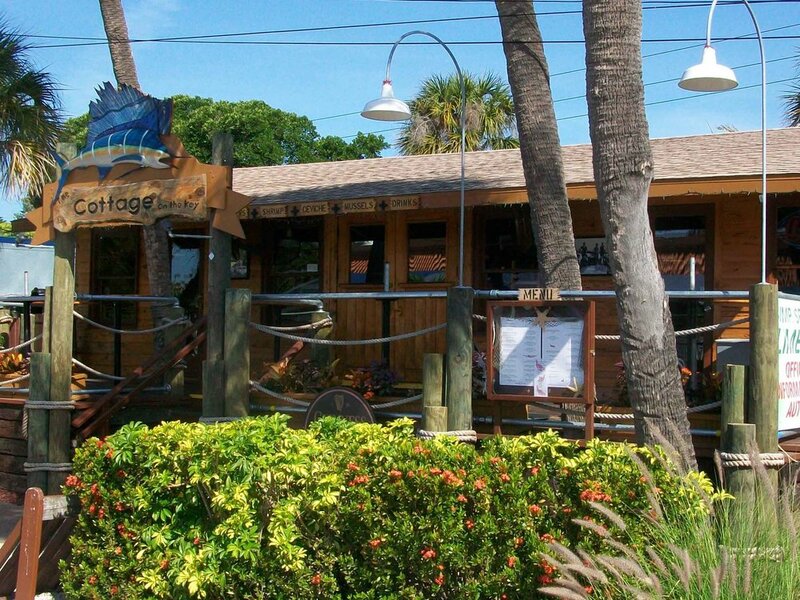 The Cottage Restaurant and Bar is located in the heart of Siesta Key Village. It is a small bar that has wood paneling just about everywhere. Outside is an open air deck adorned with brightly colored umbrellas. It is charming and inviting. It is one of our favorite kick back and relax kind of beach bars. The inside has the wood walls, and it is clean and fresh. Toward the back of the large inside bar, you will find the outside patio. Often you will find live bands playing back there. In fact, The Cottage has live music every night of the week starting at 7:00 p.m. Happy hour is 11:00 a.m. to 5:00 p.m. Monday through Friday. The crowd at this Florida beach bar is a relaxed and happy crowd. It is a fun and friendly Florida beach bar crowd with a bit more sophistication than some of the others. This Florida beach bar offers a menu with a lot of choices. The lunch menu features Cerviche and the dinner menu works it way up to filet mignon. The Cottage is just steps away from a Siesta Key beach access. It is a nice little Florida beach bar that has good food and is a pleasant place to relax and watch the Village traffic.